Since July 2010 we have covered stories from Apple to Zac Efron, and most stops in between, as many of you regular readers already know. You can check out our previous milestone events HERE. It is purely coincidental that they were all written by +Alexa Rankin, that's what happens when you write about the topical and popular stuff and don't challenge your readers or push the boundaries of satirical writing. 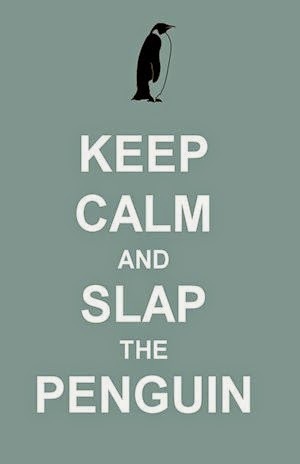 Slap the Penguin would like to apologize to Pat Robertson and everyone at the real 700 Club for blatantly using their logo. You guys do a great job using Christianity to raise millions of dollars every year, even though nobody knows where the money actually goes. TV evangelism is alive and well and it is no wonder that ABC issue a disclaimer, dissociating themselves from your content before they broadcast your show. 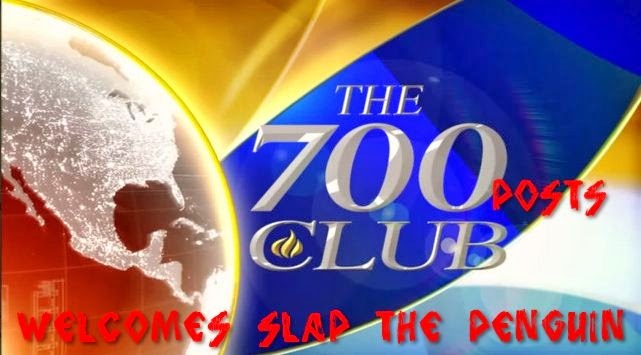 We at Slap the Penguin are following ABC's example and attest that we have zero affiliation with the real 700 Club. 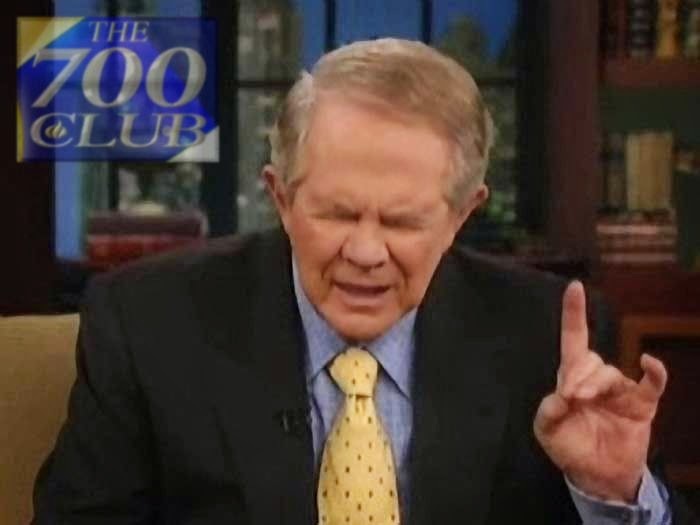 We do not endorse or approve the beliefs and ultra-conservative views of the 700 Club, and have not ripped off thousands of dumb Christians by promising them a VIP seat in heaven for making a donation. Do you have a favorite post from our last 100? Was this 100 better than our previous efforts? Is Alexa really the best writer on our team? Share your thoughts in the comments section below.